I have 1.4 million candidates available but I am only sending them to Goldman Sachs! We are currently experiencing a huge skills shortage, my financial services clients and manufacturing clients seem to spend their lives hiring, they fill one position and another becomes available. How are we going to find the staff to keep up? Well the first option and obvious one is to up-skill internally (but I’ll save that for another rant) the second option is to tap into the UKs 1.4 million eligible candidates! Well, do you remember Susan your former FD who got pregnant but couldn’t come back full-time because of childcare? Well bingo, we have 1.4 million Susan’s. And because 95% of employers are yet to realise we need our Susan’s and still believe the world is full of 20-year-old geniuses with 16 years’ experience willing to work for £20,000, we are currently the crappiest Western country when it comes to getting parents back into work; 27% lower than any other country in fact! Well done United Kingdom, we have actually managed to go backwards! After the war when we had a skills shortage (admittedly slightly more severe than the one we have now) we created on-site nurseries, so women could come to work and know there was a safe, guaranteed place for their children to be! Genius. Now whilst 95% of employers are damn average at supporting parents back into work, 5% have actually realised the value of Susan(s) and have taken the initiative to do something about their skills shortage, staff turn over and retention! (For the purpose of this argument, I am ignoring you fantastic supporters of flexible working, this is purely focussed on on-site support) Goldman Sachs is leading the way, they now have on-site nurseries in their London, Tokyo and New York offices. In locations where they can’t provide childcare facilities, they work with local nurseries to subsidise their facilities for employees. They also provide after school and holiday clubs for 5-12 year olds, which has proved to be exceptionally popular! Around 1400 Goldman Sachs employees use their childcare services! 1400! That’s ¼ of their employees. I know I know, Goldman Sachs have so much money it’s not a fair comparison! They could give every new starter a gold-plated calculator and diamond stapler! “My company is too small I can’t afford to fund internal childcare” – well yes that’s pretty bloody obvious! However, you also thought you couldn’t afford a fancy meeting suite, coffee machine and serviced lift but you found a small office to rent in a shared building with all those perks. Welcome shared office child-care suites! “Article 50 is coming” and we still have little to no idea on how it is going to impact our current foreign workers. We have 2.2 million EU workers; let’s say 50% leave the UK, that leaves us with an additional 1.1 million vacancies on top of the current 770,000. If you think it’s hard to recruit now, imagine an additional 1 million vacant positions! Let’s do the maths here, if above 50% leave the UK we will be left with 1,870,000 vacancies. There are only 1.4 million unemployed people in the UK, even if they all were miraculously suitable and skilled for current vacancies we still have a deficit of 470,000 jobs with no people to fill them. Surely this is reason enough to really consider how you are making work accessible for parents, particularly single parents! Take 6 minutes out of your day to hear Rohan Silva and Rachel Carrell discuss how you can overcome the challenges of childcare for parents! Interested in coming back to work after a break? 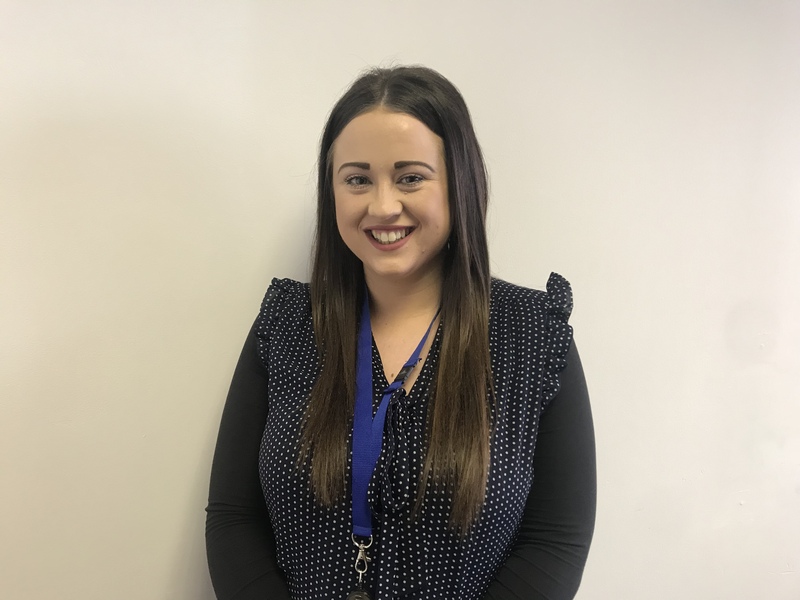 Charlotte Blyton discusses how she got back into the workplace via Deloitte’s Return to Work programme. Since returning, she has been named one of Timewise’s Power Returners, and been promoted from Senior Manager to Associate Director. 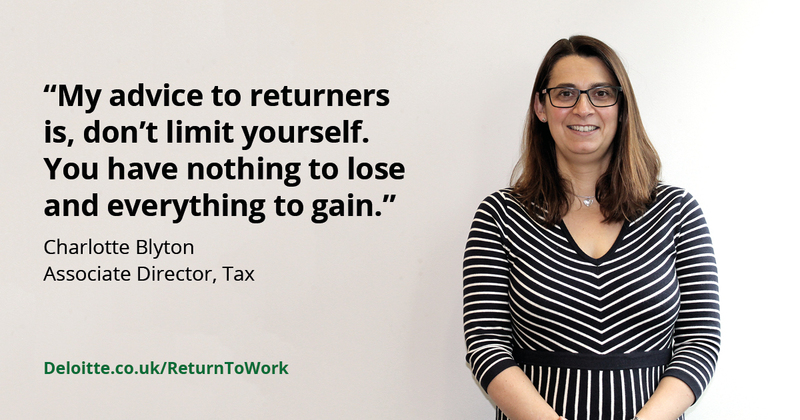 She offers her advice around returning to work. “My advice for those thinking about returning to work after a break is just go for it. You have nothing to lose and everything to gain. We’ve all been there and thought ‘I can’t do it’. But you can. I was considering taking a part time management job at a pre-school, until I heard about the Deloitte Return to Work programme. I’d lost confidence; my world had narrowed and I’d lowered my expectations. A friend who’s a career coach told me I shouldn’t limit myself, that there are opportunities out there. She was right. I was one of the eight Deloitte alumni asked to join the pilot scheme in 2015. I came back in as a Senior Manager, was offered a permanent role, and am now an Associate Director in Tax Management Consulting. I believe I can be a Director; it’s just a question of getting there. Apart from the weight gain, hair loss, loss of inhibition and sudden fascination with bowel movements, one of the most common side effects of having a baby is a loss of confidence. And we’re not just talking about in your abilities as a mother (let’s face it, we’re all winging it), but in doing the job you’d been doing for years before that. You’ve gained a child, a family, a new purpose in life – but have you lost you? So many women report that they’re no longer seen as a person in their own right, merely a mother. Combine this with the worrying number of mums who return to work when they don’t want to, or are prevented from working by redundancy or prohibitive childcare costs, and it’s clear that we’re facing a parenthood confidence crisis. Kim Cutler, of MummyJobs coaching partner Storm McQueen, became a life coach after struggling to balance her stressful City career with looking after her two young children. She says: “I had my first baby in 2014 and returned to work after a very short maternity leave of four months. What played heavily on my mind was the amount of hours I had worked pre-motherhood. “I began to read The Success Principles by Jack Canfield, and, from this, I took action and got the support of a life coach. After just a two-hour phone call, I had been completely taken out of my comfort zone of allowing fear to control my life. The difficulty of balancing the professional and the personal is a common theme among Kim’s clients. She says: “The common challenges I see with my clients when they prepare to return to work are loss of confidence, loss of identity and worries about flexibility. So how can a life coach help? While their job isn’t to offer advice as such, a coach will encourage you to question yourself and establish what you want out of life. Having a clear plan and the confidence to ask for it is often the key to making a flexible working request achievable – present your employer with a solution, not a problem. 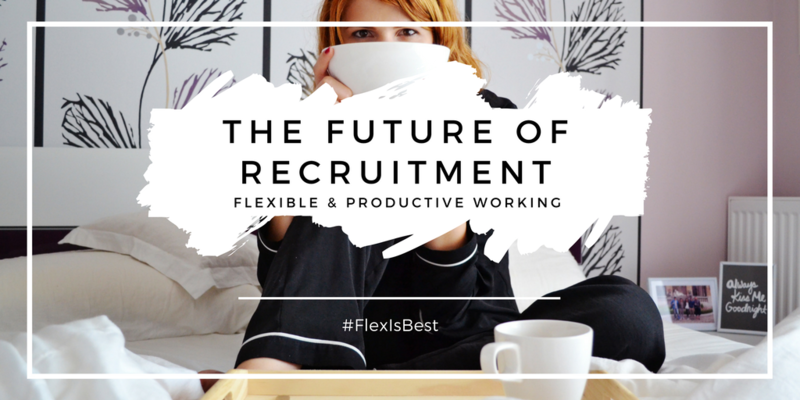 Like all of us here at MummyJobs, Kim’s vision of the future is for a fully flexible working environment, where parents are valued for what they bring to the workplace, rather than judged for what they take. “I hope that more and more organisations realise the huge loss of talent through not offering flexibility in the workplace. 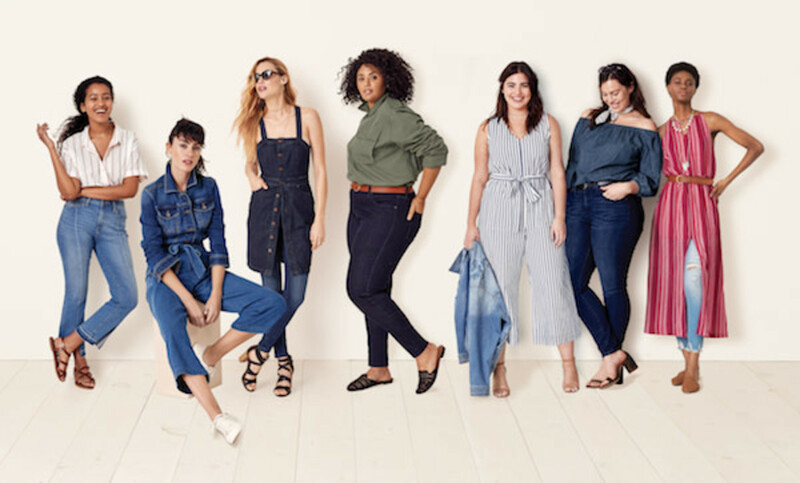 If you feel you could benefit from a confidence boost, whether in your personal or professional life, check out our partners here. Returners. We all know what it means, right? Women returning to work (or not) after a career break to have a baby. But what if women didn’t have to Return with a capital R? What would happen if they never really went away, and were able to work flexibly around motherhood? That’s what we want to see, and, judging by our recent research, you do too. In our survey of #MummyJobbers, we discovered that 56% of women returned to work after having a baby, and 44% stayed at home. However, of this 44%, only 19% actively wanted to stay at home – the rest felt unable to return to the workplace for a number of reasons. And guess what? 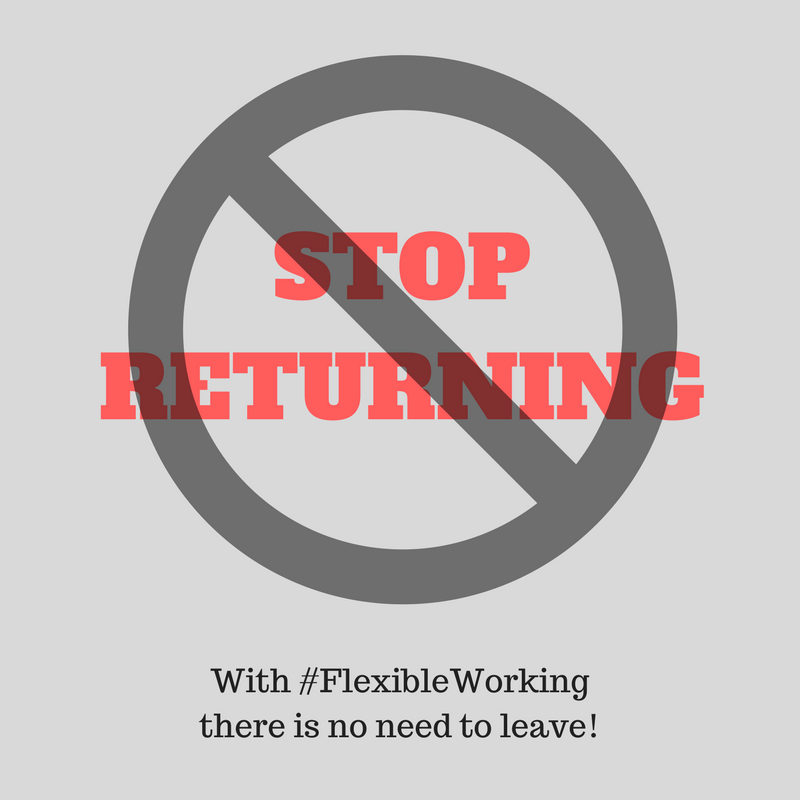 The main reason mums feel unable to return to work is the lack of flexibility. Nearly half of the mums we asked cited this as a reason, with a further 23% saying that the price of childcare put them off. With childcare costs rising faster than wages, in a lot of cases it is simply not worth working – financially, at least. Of the women who returned to work, we were shocked that only 10% told us they were happy with their return. Again, lack of flexibility was the issue – 39% per cent wished their employer had been more flexible. Here at MummyJobs, we don’t think it’s an exaggeration to say that women are being forced out of the workplace by the lack of flexibility, to return when their circumstances change – when their children go to school, for example. So we asked our mums what type of flexible working would have suited them best, and enabled them to return to work after standard maternity leave. Most (34%) wanted flexible start and finish times, 24% per cent each wanted the option to work from home or to work part-time, and 14% would have liked to work term-time only. We truly believe that moving to a more flexible workplace benefits everyone. Time and time again, research has shown that workers are more productive and motivated when allowed to choose their own hours. With so much technology at our fingertips, we should be able to see a world beyond the 9-5 culture that so many businesses are fixated on. It’s time to stop the narrow-minded focus on ‘returners’ and instead look at how we can make employment work better for everyone, so no one has to go anywhere. Thanks to your hard work – and the tips in our previous blog – you’ve made it to your interview. You’ve got the right time and place, are dressed appropriately and have thoroughly researched the company and the role. First impressions count, so make sure you smile and appear confident. Yes, you’re nervous, but take a few deep breaths, sit up straight and enjoy selling yourself. As well as smiling, eye contact is important, as it shows confidence – but not so much that you make the interviewer sweat. Nodding along to key points is a good trick too, as it makes you look engaged and interested. 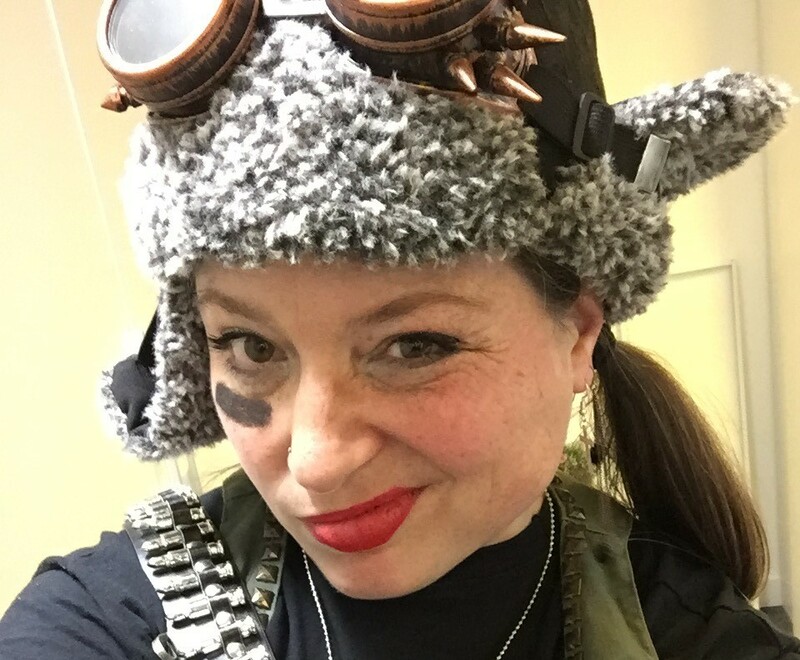 Feel the fear – and do it anyway! Unless you’re a robot, you’re bound to feel nervous before and during an interview, but, believe it or not, this can work in your favour – yes, really. Think about it – if you’re nervous, it means you care, and that’s what your prospective employer is looking for. Being arrogant or, worse, complacent can put interviewers off – didn’t your parents always tell you that nobody likes a show-off? But if your nerves are threatening to take over, there are plenty of calming exercises you can do to take the edge off – but, whatever you do, don’t be tempted by a drink (or eight) to give you some Dutch courage. Most interviews follow the same structure and use similar questions. With this in mind, you can prepare some answers for the questions you can guarantee will come up. If anything does throw you, take your time to consider your answer, and don’t be afraid to (politely) say if you don’t understand the question. Obviously, your answers will depend on all sorts of variables, but there are certain things all employers want to hear. Hint: It’s not about your childhood hobbies or that you’re looking for a new job after running over your last boss’s prize poodle. No matter that we all know we’ll reach this point, it can still throw even the most confident interviewee – worryingly, no is still the most common answer. Ideally your answer will touch upon something you’ve found out in the interview, or discovered during your research, for example asking about the issues the company currently faces. You want to look engaged and enthusiastic, and also make it clear you’ve done your research. You’ve done your best and hopefully wowed your interviewer, so leave on a high – a big smile, thanks to your interviewer for their time and handshakes all round mean you’ll leave a positive impression. For extra Brownie points, it’s good practice to email your interviewer within 24 hours, to express your thanks for the opportunity. This shows both basic good manners and also reiterates how important the job is to you – both of which will stand you in good stead. Hopefully, armed with these tips, you’ve impressed with your ability and charm, and so all you can do now is wait for the phone to ring – fingers crossed! Flexible working is something that empowers you to work where and when you feel you can be most productive. Yet a report recently published by Forbes stated that although 58% of workers are offered flexible working, 24% of workers don’t take it. 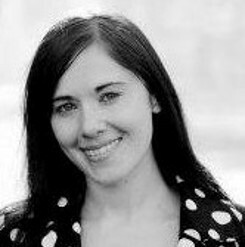 “From accommodating religious commitments to managing long-term medical conditions such as anxiety and depression, there are many reasons why people need to work flexibly, but many employers still view this as a privilege just for parents with young children,” says Kate Headley, Director of consulting at The Clear Company, which helps organisations recruit staff from a more diverse base. There is and always has been an air of uncertainty about part-timers and even freelancers, due to senior staff worrying about that person’s dedication to the company – something that completely disregards their skills and expertise. Some sectors are adapting, becoming more open to remote-workers and flexible hours. So I guess the next question is, what’s changed? Flexible workers are go getters, they’ve got dynamic experience and drive but also adhere to deadlines extremely well and that’s because they are used to a certain pressure. ‘Time equals money and money increases profit, doing the math is easy when you look at it like that’, she commented. On the other hand, when we discussed how she would feel if her flexible workers decided to work with multiple clients, she did raise concerns; ‘if somebody was working with three brands, I’d be concerned about them being overstretched and limited with time on each project. There would be the worry that they struggle to understand the ‘normal’ day to day work and instead end up working at 10pm at night – I know my client wouldn’t be happy receiving work this late because a flexible worker has put them at the bottom of the agenda over their other two clients’. Before diving in headfirst into a mad mix of opportunities, it’s worth considering whether it will bring you the tangible results you need. Unless you’re James Bond, a Super Villain or just a multi-tasking HERO – it is almost impossible to deliver all of your workload at the same time without compromising the quality. I’m sure that there are many Freelancers out there that would disagree with that sentiment and we are certainly of the school of thought that Productivity is key to the future of flexible working, and that our Millennials will almost certainly be more likely to do the same job for multiple contractors. Mainly because their childhood has most certainly taught them to multi-task and their need for upward mobility will certainly give them the drive to handle the additional learning and pro-activity that working 2 or 3 jobs may bring! But what do you think? Is your energy best spent tackling a job at a time, achieving the best results possible or does it depend on the individual? And if we want to be more productive society now – not just in future generations, shouldn’t we be leading the way like Scandinavia by supporting 6 hour days? Results there show that people can be just as productive working less hours over our current average of 10? At mummyjobs we think that we should lead by example for the next generation. Share your thoughts with us below – what’s the future of productivity and flexible working? Following maternity leave, us Mums are feeling a bit vulnerable. We have been out of the workplace for about a year, going through pretty much the most life changing experience we could ever go through. We have gone from a career where we felt in control and like we knew what we were doing to a world of nappies, feeding, sleepless nights, late night Googling of unknown reasons why a baby might cry and we have had whole days where we didn’t speak to a single adult. 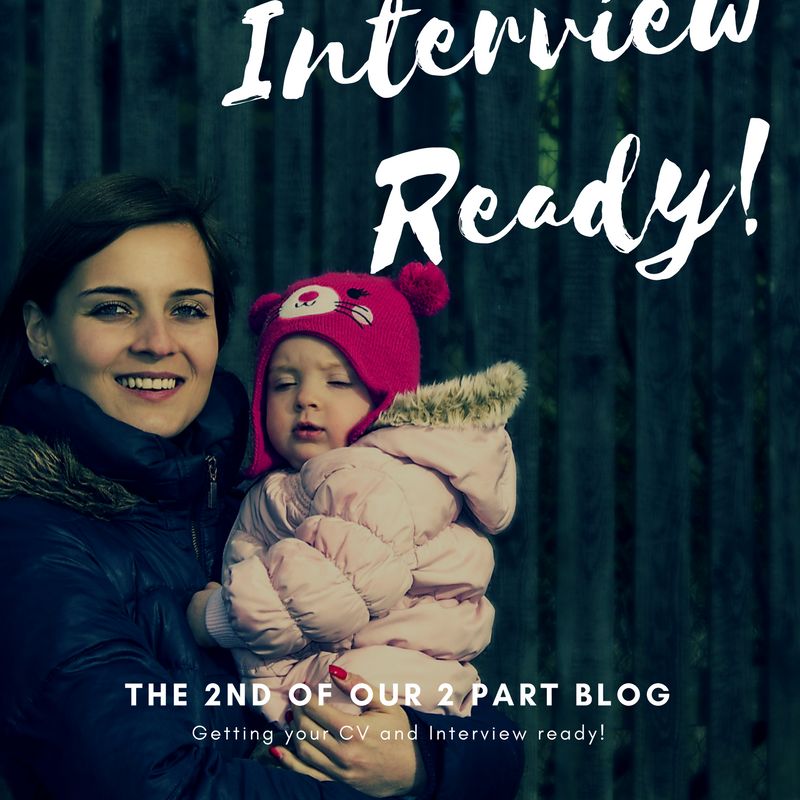 We were feeling nervous about what life would be like as a working Mum so we were hoping to go back to the familiarity of the job we already knew and were good at. We were hoping to work slightly adjusted hours to give us a chance of being able to put our own baby to bed, whilst still doing a good job. Our employers were so excited to meet our babies and cooed over them but then they asked us to fill out a huge form and then in a meeting that lasted less than 10 minutes, they firmly said no. Just like that, our years of service and hard work came to nothing. Feeling at our most rejected and vulnerable we are applying to the very few flexible roles that exist. We are sending out our CV’s and meeting all the recruitment agencies. We are squeezing into old suits that don’t really fit anymore whilst connecting with hundreds of people on LinkedIn. We are applying for jobs and preparing for job interviews whilst feeding our babies. ●	Please take us seriously. We haven’t had our brains sucked out, we have just been busy learning new things. ●	Please do your best to stick to telephone call times or be understanding about re-arranging for another day. We have carefully planned these calls around nap times and childcare so if you are 25 minutes late, we might not be able to take your call quite so easily. ●	Please don’t ask us to take dramatic pay cuts. Childcare is really expensive and we need every penny we are worth. ●	Please don’t pull apart our CV’s and question all of our career choices. Now is not the time to make us feel worthless. 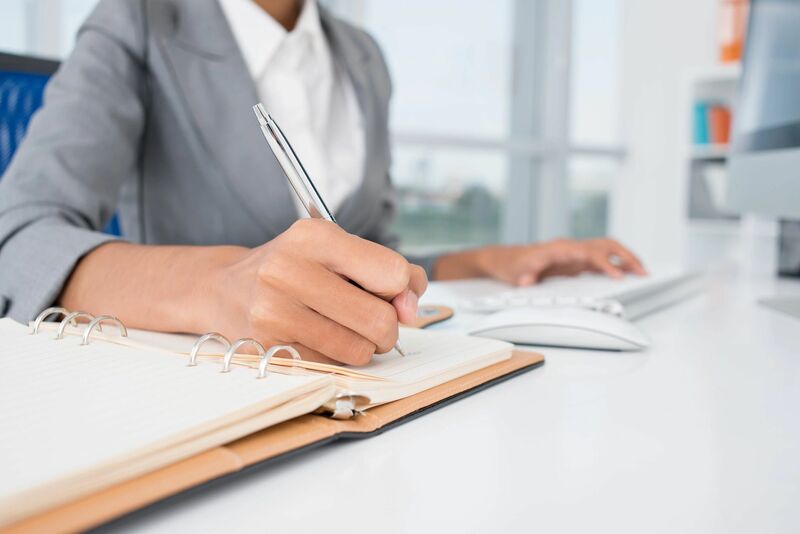 Instead give us constructive advice about how to make our CV or application really stand out or ask questions to gather information that brings out the best from us. ●	Please don’t force us to take a job that we don’t want. We may be keen to find a new job, but that doesn’t mean we have to take something that won’t work for us. ●	Please don’t suggest we change our career path. We have spent years getting to where we were because we enjoy it and want to do it. Having a child doesn’t mean that our ambitions have changed. ●	Please don’t ask us (or anyone) to fill out lengthy application forms if our CV isn’t right for your role. What a waste of everyone’s time. ●	Please don’t treat us like we are a risky hire. You won’t find someone harder working and more focused than a parent who has to leave on time to do the nursery or school pick up. ●	Please spare some time to give us feedback. We have spent valuable time applying for your job, the least you can do is give us some considered and constructive feedback. ●	Please consider the hours of your role and whether there is some flexibility around your office hours. Even your ‘flexible’ hours might not be suitable for as many people as you think. ●	Please treat us like you would want your own mother to be treated if she was applying for your job. This probably was her a few years ago.